I was lying in bed on Christmas Eve when I heard a gentle tap at the window. Startled, I turned with rapt attention to the soft glow of a friendly figure beckoning me forth from my slumber. Not sensing anything nefarious, I made my way to the window and cracked it open. Without any particular hint or clue, I somehow knew who had visited me. It was the ghost of Christmas future. I crawled through my window and was immediately swept upward through a dark mist. I flew with Frank into the future, 100 years from now, where he showed me the roadways of cities and countrysides throughout America. He showed me how people will get themselves from place to place. Although we still hadn’t quite mastered teleportation, I saw vast quantities of cars going to and fro in a melodic dance with one another. There were trucks, too. And some trains. But what really fascinated me were the cars. “Autonomous cars. Self-driving!” Frank exclaimed. Incredible, I thought. But as we continued our journey it slowly dawned on me. I hadn’t seen a single motorcycle. The dire reality hit me like a Gold Wing on steroids. At that point, I woke up panting, with cold sweat on my forehead. OK, so while it is highly unlikely that no one will want to ride motorcycles in the future, it’s safe to say that we motorcyclists are a small percentage of the U.S. population, and we need to be proactive about ensuring a bright future for motorcycling. What will happen if motorcycling flatlines or declines? Recent history in the road racing realm has shown us that AMA Pro can be mishandled for years and brought down to within an inch of its life, only recently having gotten off life support in MotoAmerica. The United States is down to one MotoGP grand prix and no riders in the series. Outside of racing, motorcycling continues to be stereotyped as a “biker” culture, eliciting images for the average American that look more like “Sons of Anarchy” and less like “Why We Ride.” However unfair or inaccurate, this translates to a widespread perception that motorcyclists in general are unsafe adrenaline junkies who need to be reined in by tight regulations and laws. So how will we ensure the future of motorcycling? By getting my generation, the Millennials, into motorcycling. With all due respect to older generations (median age for both men and women riders in the United States is above 35), I must say that for the next 20 years, targeting Millennials and their successors will be the key to growth. As a Millennial and a rider, here’s how I think we can get more of my cohort riding. Making training courses accessible and affordable is a key to ensuring the future growth of motorcycling. Photo by Lemmy. First of all, we need to build motorcycle culture, especially one that is diverse. This means in part that selling the idea of motorcycling has little to do with specific bike styles, product marketing or advertising, and almost entirely to do with getting people on motorcycles, and eliminating cost barriers to riding. By far the absolute best way to build motorcycle culture and increase ridership is to get more people riding motorcycles the correct and safe way the first time they swing a leg over one. Enable people to have a safe and fun experience for their first time out on a bike and they will, at the very least, have a positive view of motorcycling and be a safer car driver. Out-of-pocket cost for a safety course can get in the way of this. 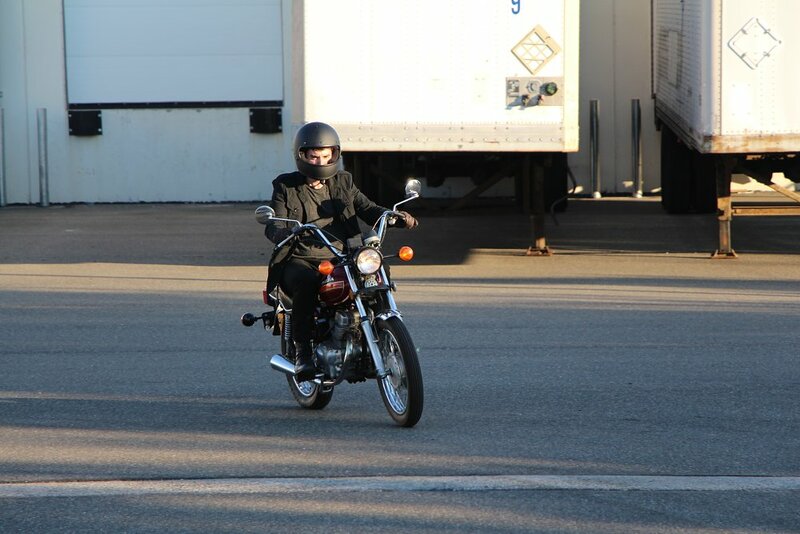 For example, in Connecticut, where the law requires you to pass a state-approved course to get the “M” endorsement on your driver’s license, the cost to an individual taking the MSF Basic RiderCourse (BRC) is $200. That’s money that’s probably better spent on a helmet. Conversely, Illinois and Pennsylvania offer the BRC for free to individuals, the only two states to do so. These are state-sponsored, self-funded programs not paid for by regular taxes (e.g. income, property, sales, or business tax). If it can be done in these states, why not in others? Ensuring that beginner riding courses are available at a low but sustainable cost must be one of the first steps in building the culture. We need to stress the fact that motorcycles are a fun and practical way to get from point A to point B, not just a toy for those with disposable income. Millennials are probably the most well traveled generation in our country’s history, and from the northern climes of Sweden to the crowded streets of an Indian city or the remote villages of Malawi, Millennials have seen how everyone “over there” gets from place to place on a motorcycle. A cheap used scooter started it all for this rider. Photo by Kyle Mayer. I was inspired to start riding after a trip to London and Paris, where I saw people commuting on scooters and saving gas and money. I came home, bought a cheap, used 150 cc scooter I called “Black Lightning,” and now, five years later, I’ve not only moved on to other motorcycles, I’m also a certified Motorcycle Safety Foundation RiderCoach. Millennials also tend to value experience over material possessions. We love our experiences. Numerous young adults take temporary jobs and travel, or frequently move from place to place, rather than taking the life path chosen by most Baby Boomers of starting a career, climbing the corporate ladder, buying a big house, and retiring ASAP. Splendidly, motorcycling is inherently experiential. One of the primary reasons I love riding is there’s always a new adventure, because experiencing the world on a motorcycle is wholly different and distinct from other ways of travel and exploration. And then I hook up to social media and brag about and share photos of the cool places I’ve visited and the unique stuff I’m doing, like all of my millennial peers. That used scooter was just the beginning. Five years later, I'm a MotoGP-loving, RiderCoach-certified serious motorcyclist. Photo by Kyle Mayer. Speaking of unique, we love being unique. We want to be set apart from others in a way that brings us a positive reputation and street cred. OK, fine. Call us hipsters, but our desire to do or appreciate something before it becomes mainstream reveals that we value exclusivity. At just over 10 percent of the U.S. population, motorcycle riders are already an exclusive group. If we want to keep motorcycling alive and well for the future, we need to encourage the next generation of riders, and we do that by catering to the values of those we are trying to reach.